air joe is proud to serve the Palos Hills community! We are proud to be a part of this community, serving your heating and air conditioning needs: air joe is listed in many directories under titles such as : Palos Hills Heating Contractors, Palos Hills Heating, Palos Hills Air Conditioning, Heating Repair, Air Conditioning Repair, Palos Hills Heating and Cooling Contractors, Rooftop HVAC Repair, Ductless AC Systems, Boiler Repair and Palos Hills Heating and Air Conditioning Contractors. We are here for you whether you need furnace or air conditioner repairs, heating and cooling estimates, equipment replacement or new installation of a furnace, air conditioner, heat pump, rooftop heating and cooling or comfort products to improve the air filtration for your home or business. Located in Cook County, Illinois, Palos Hills is a southwestern Chicago suburb. As of 2010, its population was roughly 17,500 people, and the community is home to Moraine Valley Community College. Palos Hills occupies approximately 4.29 square miles of total area, a vast majority of which consists of land. It is relatively new, only being incorporated as a city in 1958, although the township was originally organized from the old York precinct in 1850. Since its incorporation, Palos Hills has seen considerable growth, and the Greens Hill Library has since been constructed. Palos Hills has several attractions located within the city limits. There are numerous venues for special events, including the Belvedere Chateau, Camelot Banquets, and the Holiday Banquet Hall. The Dorothy Menker Theater is located in Palos Hills, as are the outdoor recreational locations of Crooked Creek Woods and the Palos Fen Nature Preserve. There are also several locations in which residents can spend a day of pampering, including the Pazzo Salon and Spa and Express Hair Studios. 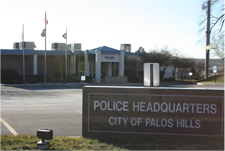 Palos Hills is found within a humid continental climate zone. During the summers, temperatures can exceed 90 degrees Fahrenheit often, and conditions are humid. Summer heat waves can last for several days consecutively, and thunderstorms with tornados, high winds, and hail are also possible. Residents will want to be prepared for any harsh summer weather by having their air conditioner properly serviced during the mild spring months. Winters in the Palos Hills area are generally snowy and cold, and normal highs in January usually don’t exceed the freezing point. Residents will rely on their heat pump or home furnace during these months in order to stay comfortable and to prevent the plumbing and pipe work from freezing. These systems will also be a necessity when occasional snow or ice storms make travel hazardous.